The skyrocketing cost of prescription drugs has sparked public outrage, congressional investigations and a range of state legislative proposals for stabilizing prices. Many patients struggle with these costs, and tales abound of seniors emptying their retirement accounts on life-saving prescription drugs. But the state – funded in part by you, the taxpayer – is carrying this cost burden, too. 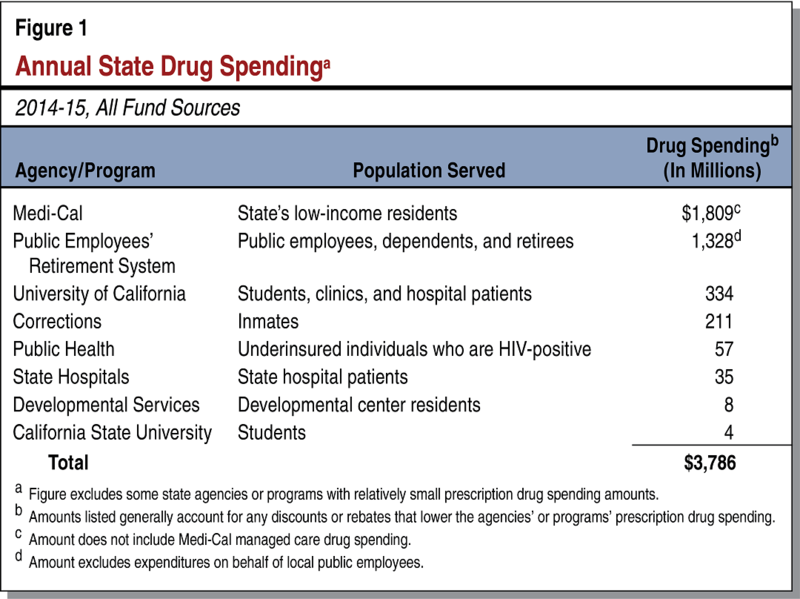 California spent $3.8 billion in fiscal 2015 on prescription drugs for people covered by state health programs. This includes current and retired state employees, prison inmates and some low-income residents covered by the Medi-Cal program. Proposition 61 aims to drastically reduce those costs. It would require state programs to pay no more for prescription drugs than what the U.S. Department of Veteran Affairs pays. Because the VA provides care for so many people (9 million), it is able to negotiate significant discounts from drug manufacturers. Prop. 61 looks to borrow that negotiating power to benefit California’s health programs. But, according to the state Legislative Analyst’s Office (LAO), it is unclear if this initiative would actually result in any meaningful savings. For one, some VA data aren’t publicly available. Some negotiated prices are sealed in confidential contracts, making it difficult for California to demand the lowest price. This doesn’t undermine the measure completely. Courts could grant state agencies latitude when they implement the law by allowing them to charge the lowest known price paid by the VA. But there is real uncertainty in terms of how the pharmaceutical industry itself would respond. If this measure cuts into their profit margins, drug manufacturers will likely look for ways to make up those losses, according to an LAO analysis. They could raise VA drug prices to avoid extending discounts to California programs. Or they could refuse to offer drugs to the state at VA prices. The measure puts the burden on the state to pay no more than the lowest VA prices. It doesn’t force the drug companies to agree to those prices. They could simply refuse, meaning the state may not be able to get certain drugs for people covered by state programs. Pharmaceutical companies are investing heavily to defeat the measure, making this one of the most expensive ballot campaigns in California history.